Vapouriz Premium Electronic Cigarette E Liquids. The difference with Vapouriz E Liquid is that our state-of-the-art manufacturing facility is wholly based in the UK. We use only top quality ingredients to create an electronic cigarette experience that is unique to us and, therefore, unique to you. Every ingredient to form our E-liquids is sourced from within the EU and expertly blended by Senior Pharmaceutical chemists at our plant in the UK. We pair our unique chemistry and flavours with the very best vaporizing technology to create smooth and sophisticated E-cigarette pleasure. 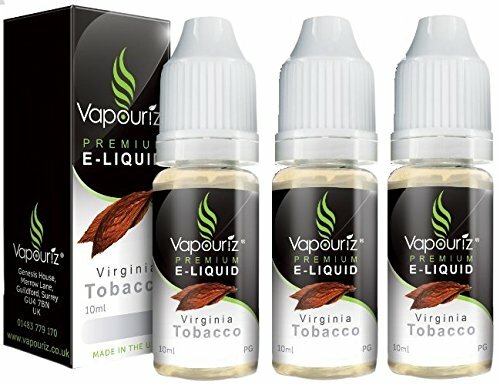 E liquid products sold on Amazon do not contain nicotine.